← Hanging out with a friend. 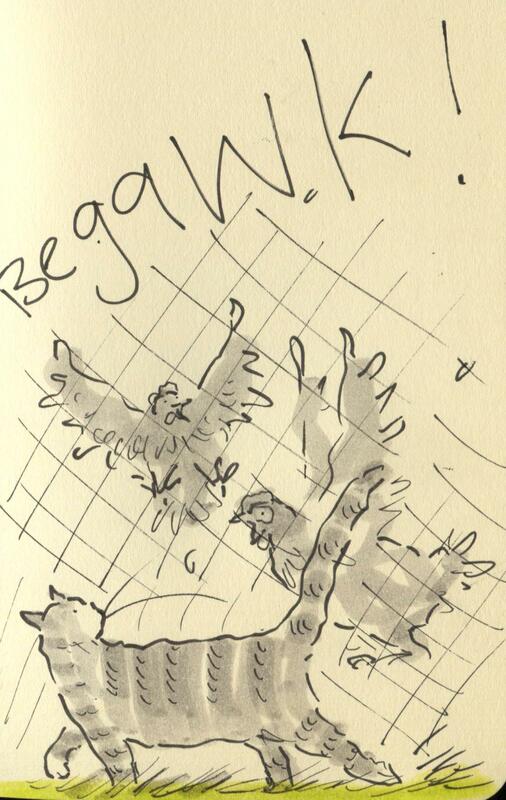 Posted on April 27, 2014, in Uncategorized and tagged cats, Chickens, Doodlemum, Drawing, Family, Humour, Illustration, Life, Pen and Ink, Sketchbook. Bookmark the permalink. 5 Comments. RT @Doodlemum: Oi you! Get away from my ladies! Oh dear, that’s one hulk casing the joint! I expect that your shouts were met with a bewildered look that said, ‘Moi?’ Innocence personified, I don’t think!!! It appears the cat-chicken relationship is a bit fragile.